It was a politcal war, with no clear cut mission, poor guidance, and a lot of mass confusion about what to do. Had we been able to take the war to the enemy, no matter where they were, many of us wouldn't have died. We would have won in short order. We weren't allowed to do that. For that reason it has caused great bitterness and resentment of our Government for their actions, or non-actions. I personally can't disagree with that. 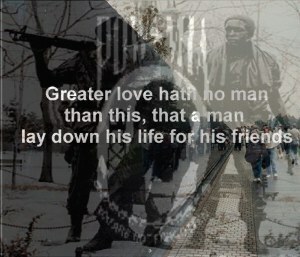 It is the mission of this site to be able to link together the brave men who served together in Vietnam. To give them a place to rekindle old friendships, to give them a medium to deal with the past, confront it, and kill the demons that are inside us. To help let the healing finally begin, and put it behind us. To honor our fallen brothers who died so needlessly fighting a war of futility. WE were American soldiers, proud, doing the honorable thing for our country. We didn't fight this war for our country, we weren't allowed to. We fought it for ourselves, we fought it for our friends, we fought it so we might survive. None of us wanted to be a hero, but many were. All we wanted to do was get the hell out of there. 365 and a wake up was .....that is what we fought for . Some of us still are. Most of all I want to welcome each and every one of you home, something our own government failed to do, something most of the population of this country failed to do. So WELCOME HOME Brothers.